IPE at UND: A Primer, 11:30 to 11:50 a.m. In this session, Dr. Eric Johnson will provide an overview of current and emerging interprofessional activities at the SMHS. All IPE learning activity is based in the IPEC competencies for Interprofessional Collaboration. 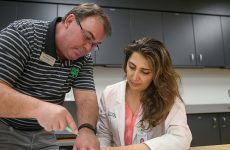 At UND, classroom, clinical, and simulation environments are used to teach in the area of IPE, and a new competency “checklist” system for students is in development. You’re encouraged to attend this informative session and stay for the session to follow. 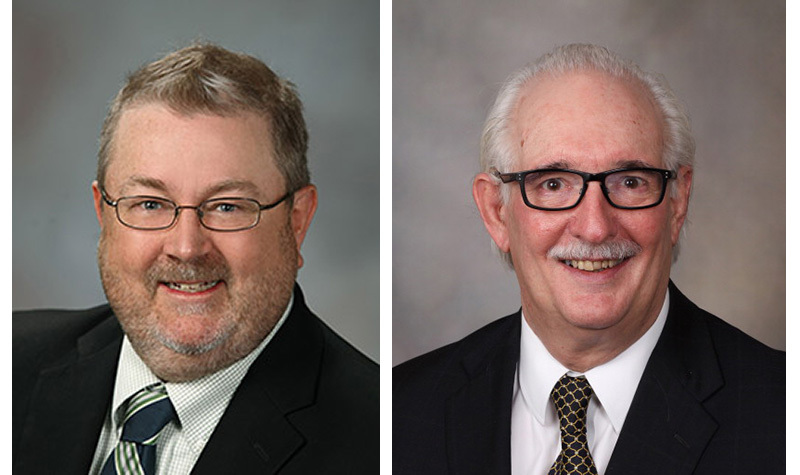 In this session, visiting presenter Dr. Fred Hafferty will explore, through group generated data and discussion, the evolution of interprofessional education at the UND SMHS. Learn to employ hidden curriculum and social network theories to layer founding aspirations against contemporary social and contextual challenges. This exploration of from where we have come to where we are going will consider our new building’s effect on interprofessional education. Do faculty interact more across discipline lines now? Do students? Medical school and health sciences faculty, staff, students, and those in advisory roles are encouraged to attend this interactive session. This event is presented by the SMHS Office of Faculty Affairs and supported by Education Resources. Email adrienne.salentiny@med.und.edu with questions. You are welcome to bring your lunch. For those who cannot attend, streaming access will be available here at the time of the event, with a recording available shortly after. Dr. Frederic W. Hafferty is professor of Medical Education and associate director of the Program for Professionalism & Ethics at Mayo Clinic. He received his undergraduate degree in social relations from Harvard in 1969 and his PhD in medical sociology from Yale in 1976. He is author of Into the Valley: Death and the Socialization of Medical Students (Yale University Press); The Changing Medical Profession: An International Perspective (Oxford University Press), with John McKinlay; “Beyond Curriculum Reform: Confronting Medicine’s Hidden Curriculum”; and The Sociology of Complexity: A New Field of Study with Brian Castellani (Springer). He is currently working on a volume tracing the hidden curriculum in medical education. He is past chair of the Medical Sociology Section of the American Sociological Association and associate editor of the Journal of Health and Social Behavior, and currently sits on the Association of American Medical Colleges Council of Academic Societies and serves on the editorial board of Academic Medicine. His research focuses on the evolution of medicine’s professionalism movement, mapping social networks within medical education, the application of complexity theory to medical training, issues of medical socialization, and disability studies. Dr. Eric L. Johnson is associate professor in the UND School of Medicine & Health Sciences Department of Family and Community Medicine and the Department of Education Resources, where he is director of Interprofessional Education and medical director of the Physician Assistant Studies Program. 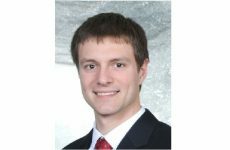 He also serves as the assistant medical director for the Diabetes Center at Altru Health System in Grand Forks. 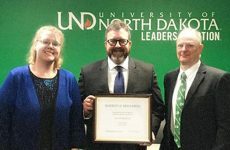 A graduate of the University of Nebraska Medical Center, Dr. Johnson completed his residency in family medicine at the University of North Dakota-Fargo Program and is board certified in family medicine. Dr. Johnson also serves as chair of the American Diabetes Association Primary Care Advisory Group, co-chair of the American Medical Association Chronic Disease Prevention and Management interest group, president of the Board of the American Diabetes Association-North Dakota Affiliate, and president of Tobacco Free North Dakota Board of Directors. Dr. Johnson has publications in the areas of diabetes, tobacco related disease, interprofessional education, liver disease, and oxidative stress in cardiovascular disease. He also has a strong interest in technology management of diabetes.